Submitted by heather on Tue, 03/11/2008 - 9:09pm. This week on Lyrical Venus, singer-songwriter Sharon Bousquet will stop by to talk about her recent trip to California for the premiere of the film Cosmic Radio. Three of Sharon's songs plus instrumental background music can be heard in the film! Submitted by heather on Wed, 03/12/2008 - 9:35pm. "How would it be if you really created your life? Stories you told, the good and bad, that they come alive?" Minnesota based singer-songwriter Ellis is coming to Cafe Paradiso Saturday, February 9th as part of her CD release tour for her 6th album - Break the Spell. Join us on the Lyrical Venus Radio hour for an interview with this inspiring and engaging artist and to hear tracks from the new CD! Submitted by heather on Wed, 07/23/2008 - 9:39am. "She's got her own inner groove; nothing tentative about it. A force to be reckoned with." You know why I love the internet? Because I can find new music, meet the cool independent musicians from all over the world who make that music, and interview them on my radio show! Take Amy Raasch for example - she's all the way out on the West coast, winning songwriting contests and coming up with projects to push her songwriting to a whole new level. Join me on Tuesday to meet Amy and find out how she's doing on her "52 Songs" quest to write one song per week for a year, and post it on YouTube for the world to see! Rayna just joined MySpace as a musician a little over a month ago, but she's already got Irish singer-songwriter Amy McGarrigle commenting that Rayna's music reminds her of a cross between the main song from Juno and Laura Veirs. Rayna is even going to bring her guitar in because she has new stuff to play for us! Submitted by heather on Wed, 07/23/2008 - 9:48am. This week on Lyrical Venus I'll be interviewing Hallie Pritts of the indie alt-folk band Boca Chica. Their quiet, lush and sometimes quirky sound has drawn comparisons to Sufjan Stevens, Iron & Wine and Bright Eyes with flavors of Old Crow Medicine Show and Gillian Welch. Boca Chica means "little mouth", and just like the small fruit they sing about in their song Blackberries, Hallie and company provide sweet-tart morsels of sound that leave a stain of faded purple behind and satisfied smile on your lips. Voted one of the city's best bands by the 2006 Pittsburgh City Paper poll and featured on NPR's Open Mic podcast, Boca Chica has been charming audiences across the country since 2004. Submitted by heather on Wed, 07/23/2008 - 9:55am. Singer-songwriter Carrie Rowan spent a good ten years climbing the corporate ladder before she decided to leap off. Lucky for her, (and for us!) she landed on her piano bench, and soon picked up the guitar as well. Carrie's debut album, Almost Home is set to release June 28th and we were fortunate to get an advance copy AND an interview! Submitted by heather on Wed, 07/23/2008 - 10:49am. Claire Wellin, half of jazzy folk duo Rainy Day Lasagna, summer intern at the FACC and Narrator of Joseph and the Technicolor Dreamcoat, stops by to talk about her songwriting and acting experiences. Submitted by heather on Wed, 07/23/2008 - 10:55am. Lauren Davis, singer-songwriter from Ohio, summer intern at the FACC and Narrator of Joseph and the Technicolor Dreamcoat, stops by to talk about her songwriting and acting experiences. Submitted by heather on Tue, 07/29/2008 - 10:45am. The Rescues have been described as an Indie Supergroup - three talented singer-songwriters and friends with solo careers, brought together to perform at another friend's wedding only to discover that the whole was more than the sum of the parts. And when you've got good parts to begin with, well - get ready to have your socks rocked! I'm betting you'll love the soaring harmonies, driving beats and heart-swelling ballads these three pump out time and again on their album Crazy Ever After as much as I do! Kyler England, 1/3 of The Rescues joins Lyrical Venus for an interview about songwriting and working with the band. Submitted by heather on Tue, 09/09/2008 - 2:32am. This week I'll be interviewing singer-songwriter Amy Kuney. She's currently based out of Los Angeles and her album Bird's Eye View just came out last month. Amy has come a long way from the cinder-block home in Honduras she grew up in as a teen with her missionary parents - the quiet and simple life she lived there provided a fertile ground for her musical creativity. Amy's talents are the kind that catch the eye of established performers and inspire them to take her on tour with them. (She recently got back from a tour in Iceland with Damien Rice.) I personally love how her quirky/clever lyrics always catch me by surprise. Submitted by heather on Tue, 10/07/2008 - 6:07pm. Just a few minutes listening to Sarah Sample's latest album Never Close Enough and it's easy to see why she was the winner of the 2007 Rocky Mountain Folks Showcase. Intelligent writing, memorable melodies and a super sweet voice come together for something worth listening to over and over again. Submitted by heather on Tue, 10/21/2008 - 10:36am. Submitted by heather on Tue, 12/09/2008 - 12:29pm. My fellow musician, blogger and internet buddy Jana Pochop (that'd be with a silent “h”) has just released her new EP The Early Year. The Austin based history major turned singer-songwriter has had a jam packed year, from going to Folk Music Grad school to putting out the EP (which includes playing all the instruments you hear on the album!) to touring as a Merch girl with the Grammy winning Susan Gibson and more. Submitted by heather on Tue, 12/09/2008 - 12:34pm. Submitted by heather on Tue, 12/09/2008 - 12:54pm. Redheaded piano-playing alt-pop diva with an A-mazing voice, Kristi Martel is a Fairfield favorite, having performed here several times! Kristi took some time out of her busy touring schedule to tell us about her latest album Ravengirl, how she got started singing and what she's been up to since her last visit. Submitted by heather on Tue, 12/09/2008 - 1:11pm. Bonnie McKee surprised the Cafe Paradiso open mic one Wednesday with an impromptu performance and stopped by the station the next day to talk about her experience in the movie August Rush, her songwriting process and what she's learned since her first album Trouble. Submitted by heather on Tue, 12/09/2008 - 1:37pm. and now this rolling land is calling me. I've been eagerly awaiting the new CD by husband and wife Americana duo Truckstop Souvenir for a while now, and the release party is this weekend! Under A Big Blue Sky was recorded in Lauryn and Dennis' home studio here in Fairfield, which is no easy trick with all the frequent trains passing by. And you just may hear a train whistle during their interview on Lyrical Venus this Tuesday, what with the station being right by the tracks! Luckily it's a nostalgic sound that fits with their themes - dusty roads, wide rivers, tiny mining towns, old time rodeos and lonely motels. Submitted by heather on Tue, 12/09/2008 - 3:10pm. You might not notice them a first glance, but check out the boots on the ladies of VOCO. More than just a fashion statement, the boots are actually an important part of their act! The wide variety of music they perform, from original folk to traditional ballads, make VOCO a little hard to categorize. One thing that makes them stand out above and beyond their gorgeous harmonies is their body percussion sets. And that's where the boots come in - slapping their ankles is a lot louder (and probably less painful) with boots! Submitted by heather on Tue, 01/20/2009 - 6:12pm. Come have a listen yourself and see what Paul means. Submitted by heather on Tue, 01/27/2009 - 1:15pm. After a fabulous concert this past February, many Fairfielders are looking forward to the return of Ellis for a concert this weekend. What many may not know is she is also bringing booking agent/artist Terri Mazurek, and the two of them will be presenting a workshop on Sunday entitled "Making a Living Making Music in the 21st Century.
" Topics include: how to set direction for your music career, how to find an audience for your music, promotion and marketing ideas, and how to plan/book your own tours. All levels of performing musicians are welcome, from those just starting out to touring musicians. I met Ellis and Terri in person at the Rocky Mountain Song School and they are both the kind of vibrant, funny, sweet and down-to-earth people you just want to hang out with! Submitted by heather on Tue, 01/27/2009 - 1:18pm. Marin County singer-songwriter Amie Penwell just released her debut full-length album King in a Temple this past November. The first thing that hits you on hearing the album is the voice. A voice for Gospel, or like the voice of an angel lowered an octave as it says on her website. It's an apt description. Amie's voice not just soulful, you really do feel like it's a healing balm to sooth away the pain of life she sings about in her songs, and turn it into something beautiful. Submitted by heather on Tue, 02/24/2009 - 11:39am. Wear my edges down won't you please? and that she should follow her heart. Submitted by heather on Tue, 02/24/2009 - 11:43am. Treats for your ears include a visit with one of our favorite special guests Sharon Bousquet of Beaucoup Shakti and some lovely love poems! Submitted by heather on Tue, 03/10/2009 - 10:39am. Submitted by heather on Tue, 03/10/2009 - 11:08am. Her bio says to "Think an Art Noveau princess with a pair of brass knuckles." I think that fits Kathleen Taylor's music pretty well. The Austin based singer-songwriter recently released her album Defy The World. To listen to it is to take a whimsical little adventure through Kathleen's various inspirations, as well as encountering a variety of creatures in the wild, or at least the wilderness of suburbia! Submitted by heather on Tue, 03/31/2009 - 11:02am. Singer-songwriter Jessie Frye hails from Texas, but don't expect a lot of twang from her. There are touches of it here and there, but much of the music is lush, piano driven pop, infused with soul and a bit of blues. One description of her music says it sounds like "if Oscar Wilde crawled inside of a piano and then drank a lot of espresso." Nice. Submitted by heather on Fri, 04/24/2009 - 12:34pm. Submitted by heather on Tue, 04/28/2009 - 10:49am. Submitted by heather on Tue, 05/19/2009 - 10:53am. I've been looking forward to this album for almost 2 years now and it was worth the wait! The lovely and talented Allie Moss does not disappoint with her new EP Passerby, featuring her beautiful voice, gorgeous melodies and relatable, relevant lyrics. Submitted by heather on Tue, 05/26/2009 - 10:49am. So what does moonlight represent when it disappears? Even if I can't see it is the light still here? Independent Canadian artist Ember Swift has been touring internationally since 1996, and has released 9 albums plus a DVD project in that time. In 2007 she finally realized a goal of traveling to China and has been splitting her time between Canada and China ever since. Her new project, Lentic, is a musical expression of her experiences in merging East and West - everything from the lyrics to the packaging to the instrumentation is a beautiful merging of languages and cultures, allowing the two to learn from, inform and celebrate each other. Submitted by heather on Tue, 06/23/2009 - 8:20pm. I fell in love with Lisa Bianco's music right away for the rockin', catchy, crunchy wall of sound on the title track of her album Post Data. Then on a trip back from the airport I was listening to her CD in the car and I was able to catch more of the lyrics than on my previous listens and I started liking the songs even better! Fun and introspective? Loud and intimate? Yes, Lisa's music is all that and more. Find out for yourself, listen to the podcast of the interview! Submitted by heather on Tue, 06/30/2009 - 4:30pm. One of Fairfield's favorite drummers, David Hurlin, has been living in LA and playing with the alt-country, love drunk, hillybilly rock, freak-folk revolution band known as The Evangenitals for some time now. Band leader and main songwriter Juli Crockett is a fountain of inspiration, energy and creativity with multiple degrees and titles - a BFA in Theater, an MFA in directing, and she's working on a PhD in Philosophy. She's an ordained minister of the ULC and a retired, undefeated professional boxer! What kind of music would come from such varied life experience? One of my favorite descriptions on the band website is: "The jukebox at the Mad Hatter’s tea party." The band's current project is a musical called Dawn of Quixote: Chapter the First. Written and directed by Juli, the philosophical and musical exploration of the first chapter of Don Quixote features a live original score performed by The Evangenitals. They have been invited to perform at the prestigious Fringe Festival in Edinburgh, Scotland this August! Submitted by heather on Tue, 07/07/2009 - 12:24am. While throwing around names like Sarah McLachan, Imogen Heap, Tori Amos and Moby will help you figure out what general category to put Jennings into, she definitely has her own unique sound. Her piano-driven electronica-pop would definitely fit nicely into a music library with those other greats, but you wouldn't mistake her for any of them. Jennings' music is sweet, lush, powerful and full of great hooks, and intelligent and meaningful to boot! I love it! Submitted by heather on Tue, 09/01/2009 - 11:49pm. see her out there with her own brand new album! Submitted by heather on Tue, 09/08/2009 - 11:51pm. This weekend the Iowa Women's Music Festival will be celebrating their 16th year of bringing great line-ups of women musicians to the outdoor stage in Iowa City. This year's performers on the Saturday day-stage are Michelle Shocked, Carolyn Wonderland with Shelley King, Cosy Sheridan, Tracy Walker, and Lynne Rothrock and Friends, with high-energy emcee Kim-Char Meredith. This week on Lyrical Venus I'll play songs by a few of the performers and interview Laurie Haag, one of the festival organizers. Submitted by heather on Tue, 10/13/2009 - 2:33pm. he asked me how do you feel? I can't remember if it was first on the open stage or around one of the song circles that Kait Berreckman first wowed me out at Rocky Mountain Song School in Colorado, but boy did she ever! I loved the way she told her stories through songs - simple little jewels that cut through with flashes of sharp insight into human nature. A native of Nebraska, Kait is currently studying at Berklee College of Music in Boston, and playing at local venues like Club Passim where she recorded her newly released live EP called Without A Bullet. Submitted by heather on Tue, 10/20/2009 - 12:29pm. to find the precious oriole. Music has been of Colorado songwriter Sue Krehbiel's life for as long as she can remember, starting out harmonizing with her dad at neighborhood sing-alongs as a kid. It has only been in the more recent times though that Sue has stepped forward to perform on her own, thanks to the coaxing and encouragement of her friends. You wouldn't know it - from her assured presence and beautiful guitar work on stage and in her debut CD, Dusty Cleveland, Sue seems like a pro who has been performing for years. Submitted by heather on Tue, 11/24/2009 - 1:09pm. Earlier this year, Anne Heaton, Antje Duvekot, Meg Hutchinson & Natalia Zukerman joined forces to record an 8 song EP of both new and traditional holiday songs called Winterbloom: Traditions Rearranged. Each artist wrote one original and put their twist on a traditional, and the other three joined in on harmonies and instruments. The girls are now touring as a group this season in support of the album, kicking off at CSPS in Cedar Rapids. Submitted by heather on Tue, 12/01/2009 - 2:08pm. When I first met Emily Dunbar two years ago at Rocky Mountain Song School, I was immediately impressed with her insightful and quirky lyrics, her optimistic attitude and her generous heart. So I was overjoyed to find out a few months ago that she had finally made an album including those songs I first heard around the campfire and wanted to hear again! As it says in the album description, Catch It When You Can "... is slick enough for the big time, but homespun enough to imagine Dunbar strumming just for you from across the room." Submitted by heather on Tue, 12/08/2009 - 12:31pm. When I first saw Cheryl Branz on stage, she had a twinkle in her eye similar to the one many people attribute to the "Jolly Old Elf". That twinkle shines through her Christmas album, The Christmas Gift. Cheryl's crystalline voice shines equally bright on all the songs from silly to sweet to serious. The album is like the best kind of gift - some parts familiar, some parts surprising, all parts delightful. Submitted by heather on Tue, 01/19/2010 - 12:44pm. I'm pretty sure that almost every time I've seen Jan Smith play live, she makes me cry. In a cathartic, "there is a crack in everything, that's how the light gets in" sort of way. She is just so real and raw that the notes creep in to my heart and force it open. The poetry reminds me to breathe deep. Her voice floats, soars, hovers, cracks, and tumbles over words in ways I don't always expect, but have me hanging on to every syllable. Submitted by heather on Tue, 01/26/2010 - 12:22pm. Allison Weiss' music is said to sound like “Your saddest memories sung to the tune of your happiest”, and I think that is a pretty apt description. If you separated the lyrics from the music you’d probably get a very different feeling from each. Put together as they are though, the bittersweet, upbeat pop gems have you tapping your feet while feeling that little tug on your heart that happens when you remember something sad or the longing that comes with a crush. Submitted by heather on Tue, 02/02/2010 - 2:07pm. Submitted by heather on Tue, 02/09/2010 - 2:06pm. Minnesota-based singer-songwriter Ellis has been busy since her last visit to Fairfield, including working on a new album and showcasing at the Sundance Film Festival! With her sweet voice, gigantic grin and heart-opening songs, I'm sure she made a whole bunch more new fans. Submitted by heather on Tue, 02/16/2010 - 12:00pm. You'll find New York singer-songwriter and multi-intrumentalist Bess Rogers' name on a lot of projects these days. Whether it's for touring, backup, podcasting, YouTube shorts or television performances, her talents are in high demand! Bess' Travel Back EP takes the listener on a trip through a rich, varied aural landscape. In less than 20 minutes you can go from rip-roarin', foot-stompin', hand-clappin' rockers to stripped down, bittersweet, vocal showcasers and back again. I have a feeling Bess' name is going to keep popping up a lot more for years to come, I don't see how anything could hold her down! Submitted by heather on Tue, 03/02/2010 - 12:04pm. Laura Meyer lists New York City as her base, but between moving often while growing up and her extensive touring, it seems that this independent artist is also an independent spirit, able to find beauty wherever she lands. Her latest album, Miles From Nowhere, supports that idea, capturing slices of the traveling life from New Orleans to Colorado, Carolina and back to New York. Painting word pictures with a shimmering, smokey voice, Laura supports her little road vignettes with deft finger-picking and crunchy blues riffs in turn, providing as much of a trip for your ears as your imagination. Submitted by heather on Wed, 03/03/2010 - 10:37am. L.A. based singer-songwriter Lexie Shine does just that. With a delivery that is passionate and raw, her songs glow from inside out. Whether they are flirty or funny, romantic or rockin' there is always a familiar thread for the listener to find their way to relating to Lexie's song, and a catchy hook that will have you humming long after you press stop. Submitted by heather on Tue, 03/09/2010 - 10:55am. San Francisco based piano-pop trio True Margrit is fronted by singer-songwriter and piano-player Margrit Eichler. Backed by Gary Hobish on bass and Andrew Bacon on drums, Margrit delivers her intelligent, upbeat songs with just enough pop flavor to be head-boppingly catchy, and just enough indie quirk to keep your ears on their toes. Their newest album, The Juggler's Progress, is the fifth release for the band that has been described as "Aimee Mann & Ben Folds meet the Decemberists for speed Scrabble." Submitted by heather on Tue, 03/16/2010 - 10:56am. Submitted by heather on Tue, 03/23/2010 - 10:56am. Lyrical Venus welcomes back Jan Smith to talk about her upcoming album, as well as getting a sneak preview of some of the new tracks. Her poetry is arresting, her assured guitar chugs and clickety-clacks like a steam engine, her voice lays bare the heart (hers and yours). Tune in for this treat! Submitted by heather on Tue, 04/06/2010 - 10:42am. Coyote Grace is the Folk/Roots/Grass/Indie/Blues/Left/Love/Yes duo of Joe Stevens and Ingrid Elizabeth. Energetic and engaging performers, the pair has the seasoned confidence that comes from years of touring, including one solid year back in 2007 on the road in an old RV named Harvey. Fresh off a whirlwind tour with folk legends the Indigo Girls, Coyote Grace is headed East from their homebase in Northern California and will be arriving in Iowa mid-April for shows in Des Moines (4/17) and Fairfield (4/18). Submitted by heather on Tue, 04/13/2010 - 10:37am. When Nefertiti wrote an email of introduction, she described her music as "Acoustic Gangsterism" and went on to explain that the style "is a mix of reggae, hip-hop, folk, rock, soul, and blues. The music comes out sounding like Kanye West and Jill Scott's love child had a love child with Lauryn Hill and Lil' Wayne's love child, all grown-up." Needless to say, I was intrigued and had to find out more. I can guarantee there hasn't been an artist like this on Lyrical Venus yet! Tune in to meet this soulful, creative and independent spirit. Submitted by heather on Tue, 04/20/2010 - 2:55pm. Friends as teens in a DC church choir, Maureen Andary and Sara Curtin reunited in 2008 when Maureen was selected as a finalist in the Mountain Stage NewSong Contest. Maureen knew Sara was pretty much the only person she could think of who would be able to do the high harmonies in her songs. In their short time as a band, the women have been wowing audiences with quirky-smart, self-aware songs, beautifully intertwined soprano voices, and a plethora of musical instruments including guitar, ukulele, flute, glockenspiel and kazoo, to name a few! Submitted by heather on Tue, 05/04/2010 - 5:52pm. on the movement of the moon. Bored with playing other people's songs, classically trained pianist Stephanie Nilles turned to writing her own. Tiring of New York City, she hit the road in 2008 and found her way into the indie/folk/coffee house circuit, booking herself about 20 shows a month and playing for tips on nights she didn't have an official show. Stephanie's music has earned her comparisons to Ella Fitzgerald, Regina Spektor and Tom Waits. Her subject matter "address issues ranging from drug busts in her neighborhood to the challenges and joys of life on the road." She is a modern day troubadour, and these are songs that make you pay attention. Submitted by heather on Tue, 05/11/2010 - 11:09am. 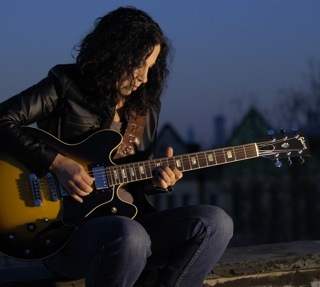 Spend a few minutes perusing Lisa Brigantino's website and links and you'll start to wonder if there is anything this talented musician can't do! It starts to make sense when you realize she has been steeped in music making since the age of 5, when she started piano lessons. Now able to play at least 14 instruments, Lisa has garnered a variety of songwriting and performing awards, has toured the world with an all women Led Zeppelin tribute band, shares a musical comedy act with her sister in New York, and still found time to write, record and produce her two solo albums, the newest one to be released June 7th. Submitted by heather on Tue, 08/24/2010 - 10:21am. Juliana Finch was raised in the South, in an Italian-American family, listening to Irish music. Her songwriting style reflects that bizarre cocktail. She has most recently been compared to Shawn Colvin, Mary Chapin Carpenter, and Natalie Merchant, which flatters her and never fails to make her want to keep it up. Juliana is a professional eavesdropper, a perpetual student, and an amateur chef. Some of her favorite things include scarves, breakfast, handmade stuff, pugs and the color red. Submitted by heather on Tue, 10/12/2010 - 11:19am. Submitted by heather on Mon, 11/01/2010 - 9:32am. Two years ago, round about this time, we got to hear Jana Pochop's The Early Year EP, and it was mentioned that it was to be one in a series of three. Resurrection Buzz is EP number two. Picking up where The Early Year left off, Resurrection Buzz features the same talents in instrumentation and production, and weaves a modern Americana style tale of life on the road by someone who has truly experienced it. Submitted by heather on Tue, 02/08/2011 - 11:13am. If you didn't know better listening to country music sirens Sweetwater Rose, you might think they all hatched out of the same nest and grew up singing side-by-side from day one, but these songbirds were fully fledged when circumstances brought them together. Lala Deaton, Marna Taylor and Ali Sperry found each other in Nashville thanks to the vision of Mac and Diane Gayden, music business veterans who knew that today's audiences had a longing for raw, authentic connection. Sweetwater Rose is bringing their special brand of sweet and sultry to the Sondheim Center on Saturday, February 12th. Submitted by heather on Tue, 03/08/2011 - 12:35pm. Fairfield songbird Josie Overmyer has been quietly working her way into local hearts for the past few years with her piercingly honest lyrics, honey-dusted vocals, and vintage acoustic aesthetic. Josie's understated, commanding songs bring to mind the likes of Iron & Wine or Bon Iver crossed with Emmylou Harris or a little Gillian Welch. Josie is nearly finished with her debut album, Little Bird, and will be coming into the studio on Tuesday to share about her process and a few songs! Submitted by heather on Tue, 06/21/2011 - 10:07am. A versatile and sought-after co-writer, New York singer-songwriter Emily Zuzik narrows her focus to pure, high-octane rock for her seventh studio album, The Wild Joys of Living. Quick to point out that the release is by the Emily Zuzik Band, the lead singer is proud of the full production and collaborative efforts that truly reflect where she is and how she wants to live her life as a musician. Released just in time for summer, The Wild Joys of Living will have you cranking up the volume, rolling down the windows and singing along at the top of your lungs. Submitted by heather on Tue, 07/12/2011 - 9:34am. With a soul, sound and subject matter that belie her years, listening to Lizzy Lehman gives the impression of a folk artist with several albums and several tours of the national coffee-house circuit already under her belt. Currently an Austinite by way of Portland, OR and Evanston, IL, Lizzy could easily hold her own in a round-robin song circle with the likes of Amber Rubarth, Ana Egge, Catie Curtis and Meg Hutchinson. Submitted by heather on Tue, 07/19/2011 - 10:08am. and what if the branch it breaks under me? Strangers Who Knew Each Other's Names may be New York singer-songwriter's Annie Dressner's debut album, but her graceful, relaxed and assured delivery make it sound like she's got 4 or 5 releases behind her. Evoking the likes of Jenny Lewis or Neko Case, Annie's confessional quirkiness hooks you in at first listen, and her sweet voice and the lush, layered production will have you pressing "repeat" and adding the album to your summer backyard BBQ soundtrack. Submitted by heather on Tue, 08/09/2011 - 9:08am. Born in West Virginia, a long-time resident of Canada and currently living in the UK, singer-songwriter Lobelia is no stranger to making her way in new lands. She applies that adventurous spirit as a musical pioneer, forging a new path for independent artists everywhere by her own life example. Join us on Lyrical Venus as she talks about touring sustainably, booking gigs and being genuinely interesting on Twitter, motherhood as a musician and the importance of using all your talents to live a happy life, rather than trying to fit into a traditional idea of what being a musician looks like. Lobelia's latest project, a covers album titled "Beautifully Undone", is sparse and lovely, her rich voice wrapping like warm honey around each song and claiming them for her own.